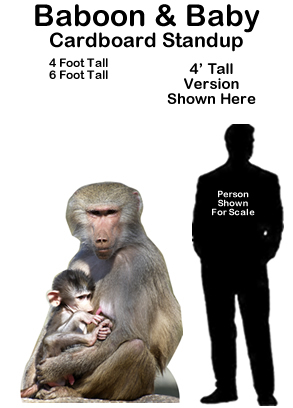 Baboon & Baby Cardboard Cutout Standup Prop - Dino Rentos Studios, INC. 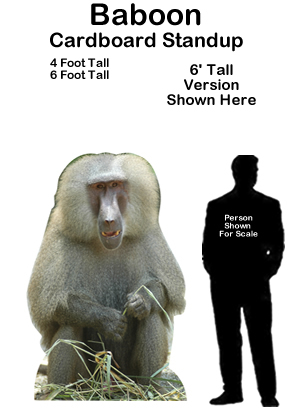 This Baboon & Baby Cardboard Cutout Standup Prop is great for your animal or zoo themed display or production! 4’ tall prop measures 35" wide.